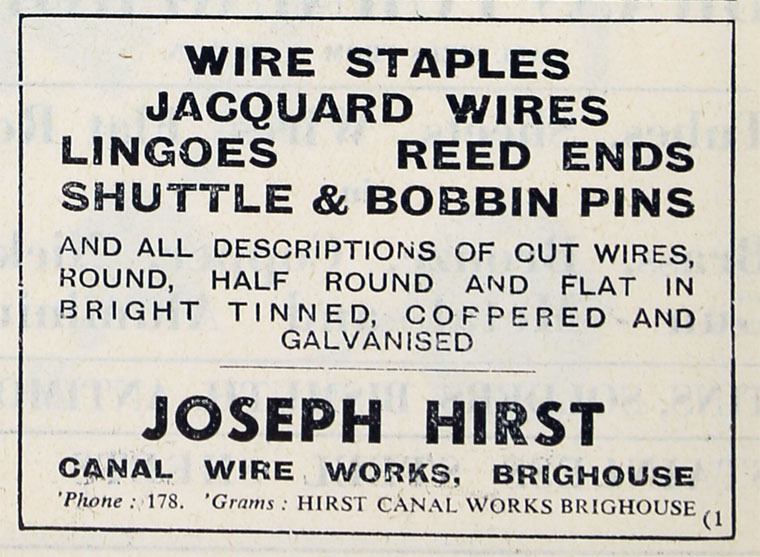 Joseph Hirst of Canal Wire Works, Brighouse. 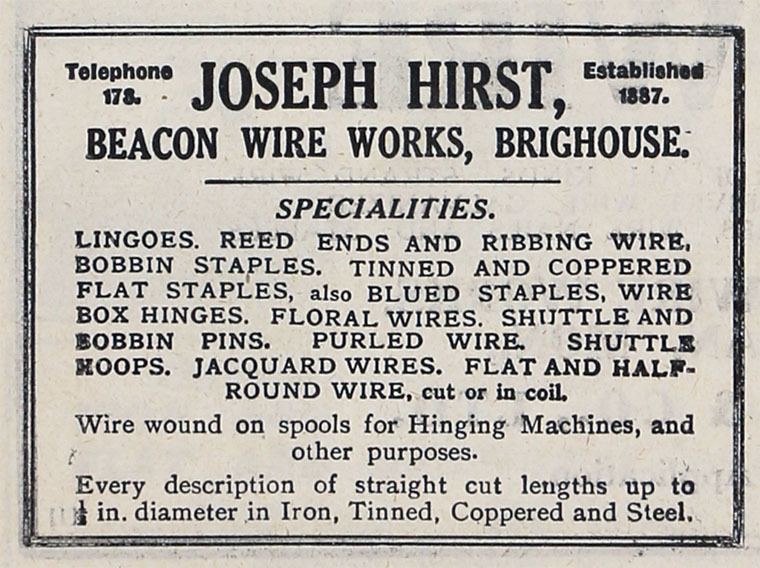 1938 Wire Staples, Jacquard Wires. 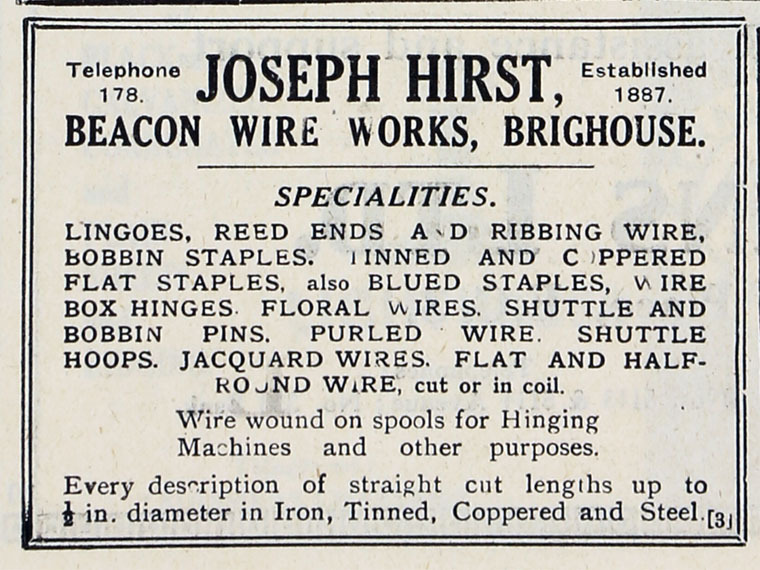 This page was last edited on 14 April 2019, at 09:05.